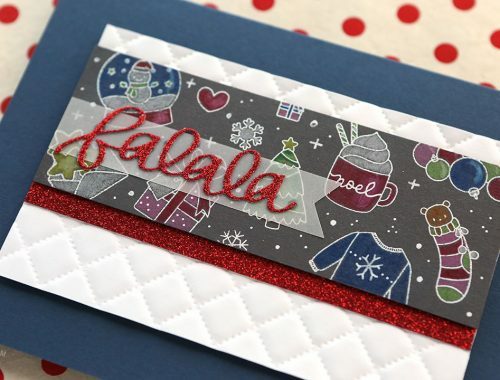 I started out by creating the card base (instructions are on the back of the product packaging). 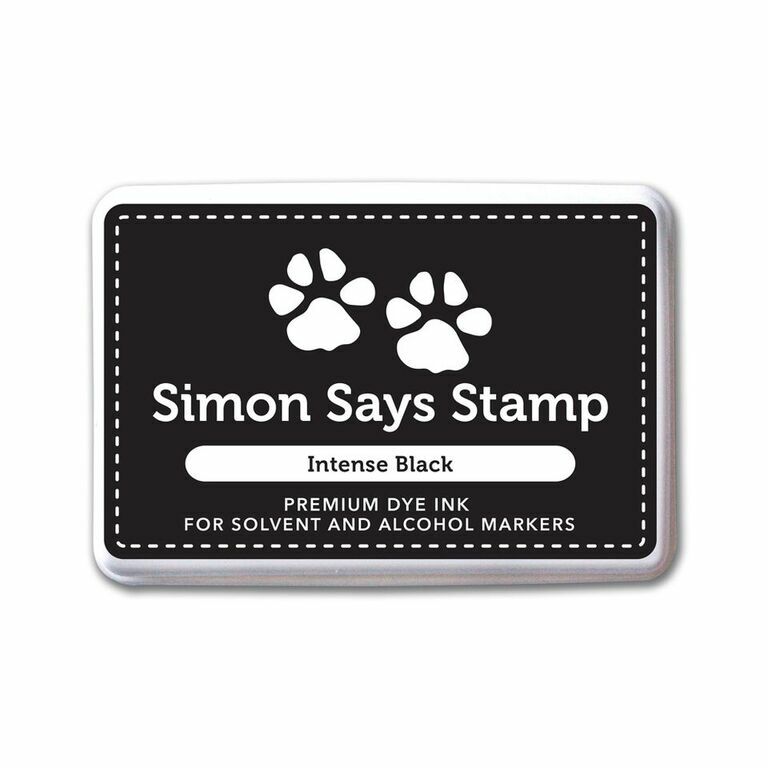 I then stamped the two cat images in Simon Says Stamp Intense Black ink. 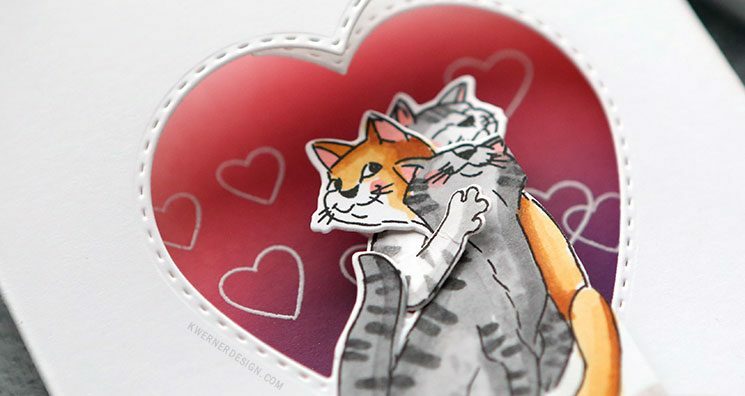 I lined up the dies and cut them using my die-cutting machine. 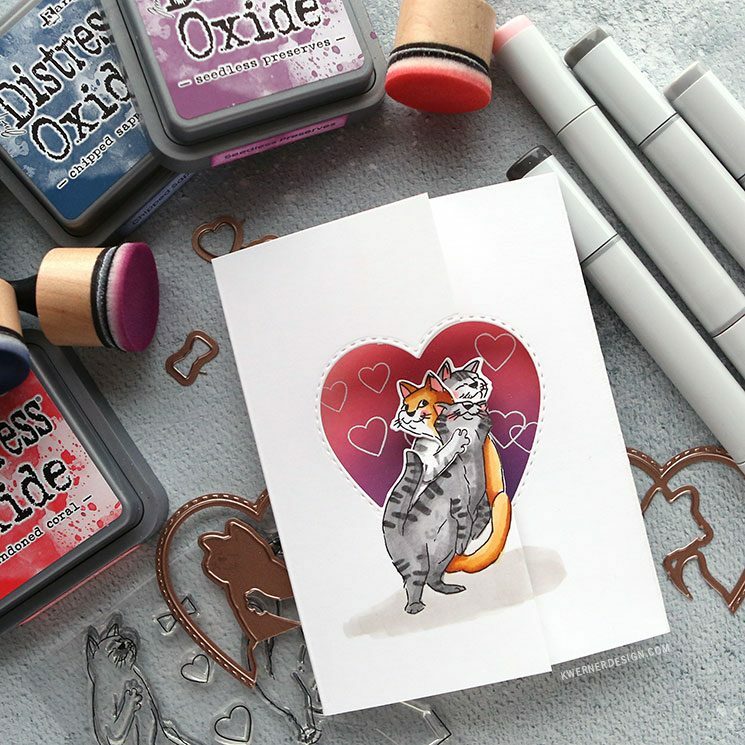 The cats were colored using Copic markers and then I ink blended three Distress Oxide ink colors (Abandoned Coral, Seedless Preserves, and Chipped Sapphire) on the inside of the card. 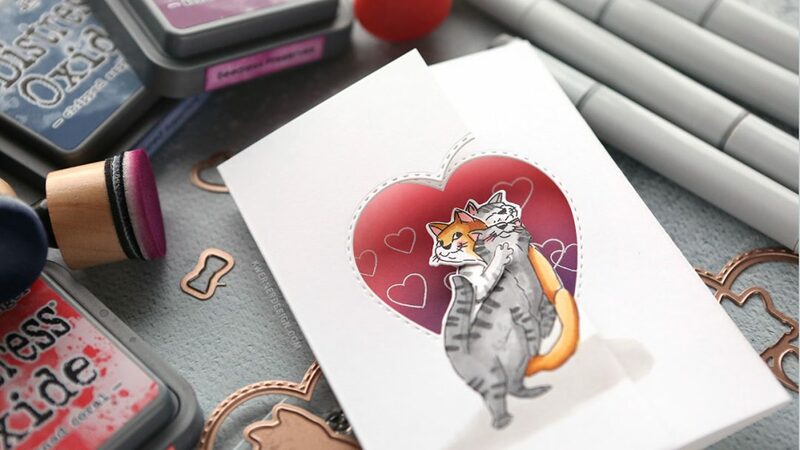 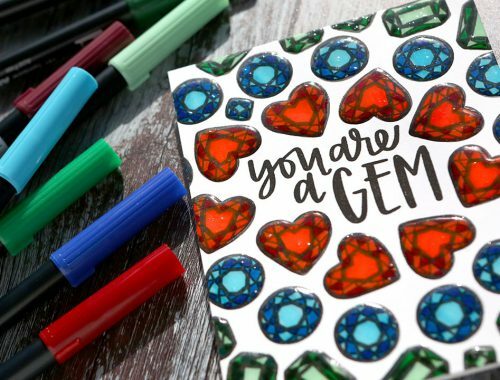 I also stamped and white heat embossed the greeting and two hearts from the stamp set over the top of the ink blending.